December is one of the busiest times of the year for shipping and mailing packages. 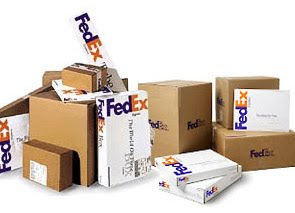 Christmastime is especially busy, and FedEx has great service, competitive prices and hand delivers your parcels. I have had packages delivered from FedEx and they were delivered with care. I know I can trust FedEx with even the most fragile package. This Holiday season, FedEx offers ways to save time and money with discounts that make FedEx one of the cheapest options this December. For example, when you sign-up on fedex.com, you can save up to 16% on FedEx Express services and 8% on FedEx Ground and Home Delivery. And, by visiting a FedEx Office location, shipping with FedEx Ground costs 10% less than with UPS. I think that FedEx really does a great job with their delivery and that their prices are fair. You are sending off special gifts to your family and friends, and you want guarantees on your service....FedEx delivers! For those awkward sizes, fragile items, or time-strapped packers, FedEx Office professionals can pack and ship your holiday packages for you or give you tips on how to minimize the size and weight of a package to reduce shipping costs at any of the locations nationwide. FedEx Office also offers customized holiday cards, stationery and personalized 2010 calendars in just minutes either online or in-store. With FedEx Office Print Online services, you can print holiday newsletters and cards to a nearby center of your choice or have them delivered to your friends and family hassle-free. Check out FedEx for all your packaging and shipping needs for these busy Holiday times! If you sign up for a free account on fedex.com and record your name and confirmation number here: Survey will be entered to win one of 5 Apple iPod Touches! Counting money can be so fun for kids, and sometimes it can be tricky for them to learn the different coins, monetary values, and how to make change. 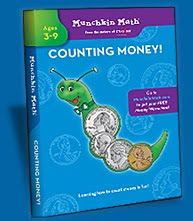 Munchkin Math DVD's are a great way to introduce your child(ren) to counting money. I was sent a Counting Money! DVD from Munchkin Math to review, and my kids enjoyed the interactive DVD. The video has kids in it, and whenever kids are in videos, it draws my kid's attention. Wendy Miller, creator of Munchkin Math, is the hostess on this DVD. Wendy teaches catchy phrases, songs, and hand movements to help kids retain the information about dollars and cents. Counting Money! covers the value of each coin and math concepts. One of the fun things kids get to do in the DVD is build the "Money Worm" with counting the money. Munchkin Math DVD's use auditory, visual and kinesthetic styles to help children learn and hopefully retain what they learn. I thought this DVD was simplistic, and geared more toward young children. This may be a great home school product to use, with teaching/introducing money. Munchkin Math has other DVD titles, too: Telling Time & Shapes. SRP$19.99. Crayola has been around a long time, and they have super products that kids (of all ages) can enjoy. We recently got three new products from the Crayola line to review, and I am so excited about these products! My kids had so much fun trying these out, and now they are a new favored activity around the Sassyfrazz household! Color me a song is a drawing/coloring table that kids can color to music on. Kids can hear a drum, piano, guitar and/or a trumpet, and the music switches between different musical styles such as salsa, rock, swing and country. When kids slide a piece of paper into the slots on the board, music starts up. When kids start coloring the tune plays to their speed: slower, a slower tempo, and when they color faster the tempo picks up. The portable drawing and music creation station features a pressure-sensitive board that matches a melody to the artist´s pace. There is a great slide out storage for crayons when not in use. That is helpful! Color Me a Song was named a "Toy of the Year" by Family Fun magazine and one of American Baby magazine´s picks for "Best Toys of the Year." For children 24 months and up; suggested retail price is $24.99. The Glow station is so fun, and makes no mess! This is the ultimate drawing pad for toddlers/preschoolers (in my opinion). Seriously, a drawing pad that kids will want to draw on, and if they get inclined to color with the wand off of the drawing pad~ no mess! The Glow Station is a glow-in-the-dark pad and when kids draw on it with the light wand, their creations are illuminated! The Glow station comes with stencils, cut-outs and texture sheets to make fun pictures. The light wand can be used alone, or you can attach the diamond shaped crystal on the end to make amazing designs...my kids like the star-shapes it makes. The drawings last a little while, even when you don't touch the light wand directly onto the Glow Station. After a few minutes the designs will disappear. One thing we found fun with the Glow Station: If you lay your arm on the glow station with the lights on, then turn off the lights and removing your arm...there is an impression on the Glow Station! Very fun product! For children ages six and up; suggested retail price is $29.99. The Glow Dome is a very fun product~ especially in the dark. The Glow dome comes with six special markers and stencil sheets. Kids can use the stencils to draw scenes on the dome, or use their own imagination. The center of the Glow Dome comes out, and can be laid onto a stencil for easy transfer, and kids just trace the picture onto the plastic center. The Glow Dome comes with 2 sheets of stencils, but more can be downloaded online. The outside of the Dome can be colored on, too. It was fun to see my children's creativity come to life. My oldest drew a man/alien on the outside and when he turned the dome on, the man was running around the outside of the Dome! How creative! The Dome has several settings for rotating the outside of the Dome to give dimension and life to your creation. On the inside, lights are displayed, and there a a few settings to change how the lights are displayed. The kids were so excited when we turned out the lights and the Glow Dome lit up the room. I hope that my pictures can show you what fun these products can bring! I know my kids love them! For ages six and up; suggested retail price is $29.99. Our family recommends these great Crayola products, and would like to suggest these items for your Christmas shopping. Crayola would also like to share some exciting news about the Give the Gift of Creativity Sweepstakes, where you can enter to win a 7-night Caribbean cruise for a family of 4 on Royal Caribbean's Oasis of the Seas. Entering is simple! 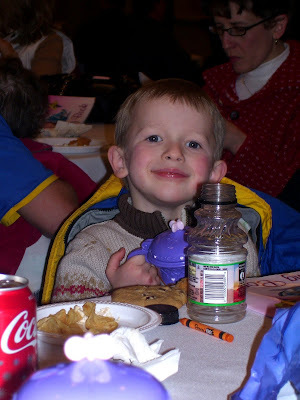 All you have to do is visit http://www.crayola.com/gifts/vacation and create a Crayola wish list for your child. You can choose from a list of fun wishes like Star Surfing, Wave Walking and Rainbow Whirlpools. Crayola will then recommend an item from their Holiday Gift Guide that corresponds to the wish. You can enter once a day, and an extra entry is also available for those who share the wish list on Facebook. Enter to Win a Glow Dome! Crayola has offered to giveaway a Glow Dome to one of my readers. To enter to win, share what you would chose from the Give the Gift of Creativity Sweepstakes wish list. Contest ends December 29th, 2009. This review was provided from MyBlogSpark and Crayola. They have provided me with a free product to review and information to share with my readers. I am sponsored to offer a giveaway prize to giveaway to my readers through this review. I was given the product for my personal opinion and option to share with my readers. I was not compensated for my time or written review. Winners & Enter to win! I am so thankful to the wonderful companies for providing me with the products to review. Not only do I get to see and try out great products with my kids, but I get to share the information with my readers! Plus, many companies are so gracious to offer to sponsor giveaways for my readers! So, a BIG THANK you to all the sponsors for my site! 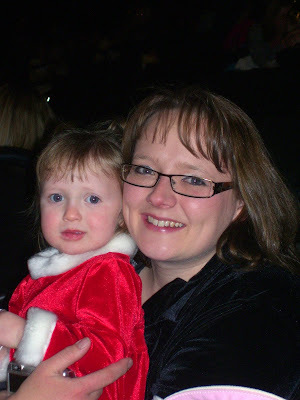 tina reynolds winner of the Adorable Kinders Doll Review & Giveaway! Just a few more days to enter to win the Build-A-Bear Workshop (review & Giveaway!) Darth Vader: Dimples Black Bear. Plus, sign up now for these other great contests going on! Christmas is right around the corner, and I think it has really come up quickly! I have talked to several other people that are just surprised at how quickly Christmas has come this year! If you are like me....BEHIND...on the Christmas shopping, gift ideas...well, Hallmark has some great ideas to help you out! I love the new Digital Scrapbooks that Hallmark came out with! The Digital Scrapbooks come in different themes, and you can choose which one you would like. You can personalize your digital scrapbook with music, photos, and text messaging all in one to be displayed on a digital photo frame (one of my wish list items), computer screen, television screen or anyplace that you can use a USB drive. You can make more than 50 personalized slides with the digital scrapbook from Hallmark! That is a lot of photos! It is simple to use, too! Just plug in the USB, access the drive, click on the icon, download and enter the codes. You can save your work as you go. This makes a great gift to give someone, or buy it and personalize a gift for someone! Another great Hallmark product is their new DVD Greetings. This is a great way to bring the traditional holiday letter to life. You can pick photos to insert into your online letter, and animation brings it to life. Each DVD Greeting hosts a template that can be edited and customized with personal photos. You simply burn the photos onto the DVD in your Hallmark card. Everything is included in the Hallmark card: Card & DVD. It is easy to make, and fun to send! A Hallmark product that is so fun to give is the Recordable Cards. These cards are so fun, because you can include your own personal 10- second message inside. Some of Hallmarks recordable cards have music, and some don't. There are more than 30 holiday Recordable Cards to choose from. The Recordable Cards with Music also feature a 30-second song clip which plays after the message. These are fun cards to personalize, and fun to watch the recipient to open up. The new products were designed to help families celebrate and capture the memories and joys of the holiday season. Hallmark has offered to giveaway two $25 Hallmark Gold Crown Gift Cards. To enter to win a gift card, share your favorite holiday memories and what your definition of Christmas is to you. Contest ends December 29th, 2009. This review was provided from Hallmark. They have provided me with a free product to review and information to share with my readers. I am sponsored to offer gift cards to giveaway to my readers through this review. I was given the product for my personal opinion and option to share with my readers. I was not compensated for my time or written review. I grew up loving race tracks, and I enjoyed watching my brother put them together and racing with him. Now, my boys can enjoy racing cars~ as well as my husband! We got the new Victory Lane NASCAR Play Set from Darda to review, and this 60 piece set was very easy to assemble. My son, age 11, loved putting the track together. The tack pieces slide easily into the other track pieces with a plastic connector. The directions were easy to follow, and the kit came with everything included. The only tricky part to the Victory Lane race way was the loop-de-loop. You have to twist the track just a bit to get the loop, but it wasn't difficult. Then, the fun begins. My boys put their cars at the starting point~ right next to the checkered flag. With a push of the red button, a plastic setting comes out to keep the cars in place. To charge the cars, all you need to do is pull the car backward on the track until the sound gets a little louder. NO BATTERIES! I love that! Our household goes through so many batteries, and I was delighted to find out that this set didn't need any! Get ready, start your engines, GO! Push the Green button and sit back to see which car will take first place! My boys loved watching the cars go through the loops next to one another. It is fun! Darda cars were introduced more than three decades ago in Germany, and they made their way to the U.S. shortly after that. Since then, young children all across the world have been enjoying these simple hand-wound cars. Check out the selection of Darda cars available online at http://www.dardatoys.com/ Darda is a division of Wm. K. Walthers, Inc., based in Milwaukee (& Baltimore). It’s a 78-year-old family owned and operated business, primarily focused on model trains but also manufactures racing products (Darda & Life-Like Racing). WOULD YOU LIKE TO WIN A RACETRACK FROM DARDA? To celebrate Christmas time, Darda is offering to sponsor a giveaway of either the Victory Lane or the Power Loop Pyramid. Contest ends December 29th, 2009. To enter, leave a comment below about which set would you most like to purchase for your child (if money wasn't an issue) and why? This review was provided from Darda. They have provided me with a free product to review and information to share with my readers. I am sponsored to offer a race track to giveaway to my readers through this review. I was given the product for my personal opinion and option to share with my readers. I was not compensated for my time or written review. Disney On Ice: Princess Classics~ AMAZING show!! What an amazing show!! My dream to see Disney on Ice came true! It was well worth the wait! However, I highly suggest you make every effort to go see this amazing show...and bring your kids! Seriously, Disney on Ice is a spectacular show...with the dazzling lights, amazing performers, eye catching props, breathtaking moments. My family and I completely enjoyed this amazing, fun-family event! Being a Feld Family Activator, I was able to attend this show, and bring my family. I was also given special coupon codes that I shared with you earlier this month, and let you all know about my experiences. I am honored to be an FFA, and forever grateful! We started the evening off with a meet & greet...first stop: Meeting Cinderella! 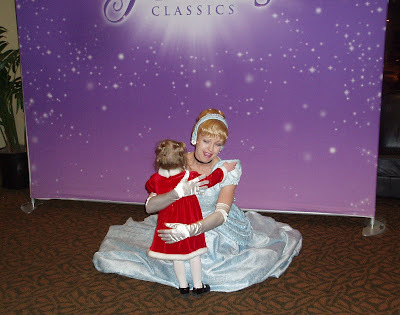 Madelyn was just tickled pink to meet Cinderella. She was such a beautiful princess! What a great way to start off our fun evening. I think Madelyn was completely in awe over the whole event. She was so impressed with Cinderella. After getting a photo with Cinderella, we went in to a room with the other FFA members and had a great selection of treats (fit for a princess~or a prince), received big coloring books (Terry enjoyed the coloring), and got some great Princess glasses. The kids had a great time, and the food was very good. Then, we went to our amazing seats! We were in Row 2 at the Xcel Center. I couldn't believe how close we were! I was ecstatic! I am just so thankful for this special opportunity~ especially for Christmas! It was fun to share this with my family. Minnie and Minnie Mouse started the show off. Minnie and Mickey were so cute~ Disney's most beloved characters! The setting for the show was spectacular. There was one main palace, but with each Princess/Prince scene it transformed to fit the character. The first ones to take the floor was Princess Jasmine and Prince Ali~ Aladdin! I was so impressed with the elephant: Abu (monkey) transformed to an elephant. There was two skaters inside this massive animal, and Aladdin came out riding on his back. Very exciting! The Genie was very animated, and even went out into the audience and sat with a little girl. Next in the show was Princess Aurora~ Sleeping Beauty. I love how Disney on Ice gave glimpses into each character's story. I loved watching the ice skating moves. So much talent on the ice! Heigh-Ho...next was Snow White. The Dwarfs were a lot of fun to watch. They brought out a table where they ate, and next it was transformed into the bed that Snow White was laid down on. I think such brilliance was put into the production of Disney On Ice: Princess Classics! I love this shot of Snow White twirling. Maddie said that she wants to do that....go around 'n around on the ice. Later on in the show, all the Princesses and their Princes came out in their beautiful dresses just before the intermission. I was starting to feel sad, thinking this was the end of the show. I did not want it to end yet. I was entirely enjoying the show! To my luck, it was just an intermission. After intermission, Minnie and Mickey came out again. Another famous Disney character joined them: Goofy. Caleb told me that he was excited to see Goofy, and I didn't think he would be at the show~ thankfully he was. Goofy was on a mission: he carried the glass slipper, and an important message from the king. That's right, that last part of the show was about Cinderella. Cinderella, her ugly step-sisters, and her step mother were entertaining. The step mother and her daughters had fun costumes and masks. Cinderella had just had her dress torn off of her from her step sisters, of which the mice had worked so hard on. She had her hopes to attend the ball, but without a dress...or a dream, what is she to do. 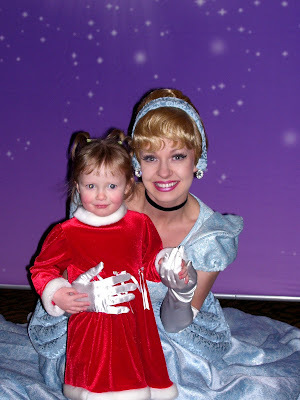 Thanks to her fairy godmother, Cinderella will be able to attend the ball. I thought it was great how the fairy godmother came in above our heads. At the end of the show, all the Princesses were in stunning evening gowns of cream and gold colors. The Princes' matched their gowns and they both looked amazing! Mullan's gown was my favorite. Mickey and Minnie were at the ball, too...even dressed in their evening gowns and suits. I loved the dance/skate. It was so fun to see them all coupled up. I think that the Disney on Ice performers resembled the real Disney Princesses and Princes. I couldn't even tell you who was my favorite. I do know that even after a week, I still smile over the experience that I had. Some of the other special guests in this show were Beauty (Belle), Mullan, and Ariel (the Little Mermaid). I loved Ariel's hair, and I am still trying to guess if it was the performer's real hair. :) OH, and the Little Mermaid performance with Sebastian and the underwater world was great! The use of black lights, neon colors, and fish-like creatures~ you have to experience it! The ending was amazing, and I loved how all the couples were on the stairs. With this show was fire, blasts, flying carpet rides, back flips, poisonous apples, and more. It is a show to bring the entire family to. I was beyond impressed, and it is a show I will never forget! Thank you Disney on Ice for all the hard work, dedication, creativity, hours of intense practice, and all you do to bring joy and excitement to all! Our family had a wonderful time, and we are thrilled to have spent the evening with you! We look forward to future shows...some even coming next year: Disney Live! 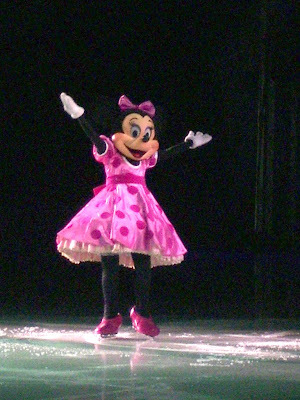 Mickey's Magic Show & Disney on Ice: Mickey and Minnie's Magical Journey. This review was provided from Feld Entertainment and Mom Central. I am a Feld Family Activator, and they have offered an opportunity for me to attend a show to review and information to share with my readers. I was not compensated for my time or written review. One really fun, educational, creative, and innovative toy that I have been introduced to are the Automoblox cars. The newer version of the Automoblox are the Automoblox Minis! The Automoblox Mini line is a smaller version of the traditional Automoblox car. These cars are made with quality and detail. 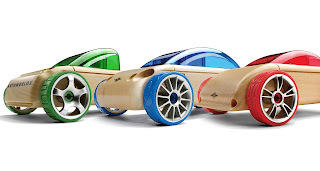 I love the wooden cars, and so do my kids! The parts to these cars are made with quality materials, and you can tell that much thought went into the design of these cars. Once put together, the Automoblox cars glide smoothly across the floor. The wheels are made so well! I love the look of these cars, so styling! One really fun feature of the Automoblox minis is you can mix and match the pieces to design many more cars. If you want to get the cars back to how they came, you just match up the colors to color coordinate. The Automoblox minis can fit in the palm of your hand, too! These cars are perfect for families with more than one child to share with each other. I love that about the minis...makes sharing a little easier. Ages 3 and up, $30.00 Made by Manhattan Toy found at Maukilo.com. Would you like to enter to win a $25 gift card to Maukilo.com? You can get these great Automoblox mini cars, or pick out something else you may want. To Enter, visit the http://www.maukilo.com/ site, and comment here with something you learned about the company, or an item you would like to purchase with your gift card (if you won). This contest is open to bloggers and non-bloggers of the United States. Contest is open until December 23rd, 2009. This review was provided from Maukilo.com. They have provided me with a free product to review and information to share with my readers. I am sponsored to offer a Gift Card to giveaway to my readers through this review. I was given the product for my personal opinion and option to share with my readers. I was not compensated for my time or written review. I would like to recommend these products for your Christmas gift buying. Our family enjoys these items and some of them are on the TIA (Toy Industry Association) safe toy list. Fisher Price 3-in-1 Smart Sports pack Video gaming just keeps getting better and more educational. 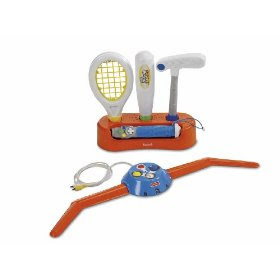 Fisher Price came out with a sports set that kids can actively play their favorite sports like golf, baseball, and tennis while they learn counting, addition, subtraction, upper & lowercase letters, spelling, shapes and more! Barbie has a new movie out: Barbie and the Three Musketeers. It is a story about 17 yr. old Corrine, who travels to Paris in hopes to become a Musketeer. Meeting three friends along the way, they seek out to save the prince and make their dreams come true. Barbie has wonderful dolls available in celebration of her new movie. I love the Corinne doll that I got to review from Barbie and Mattel.com. 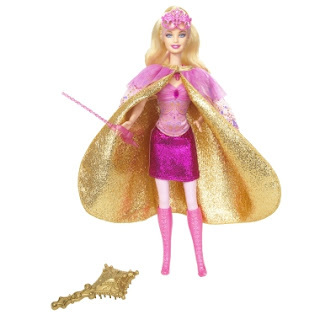 Corinne Barbie transforms from a Princess to a Musketeer, just like in the movie. Corinne's beautiful gown and tiara turn into a Musketeer outfit, so she can protect her identity while saving the Prince! Her dress becomes a golden cape and her tiara turns into a mask! 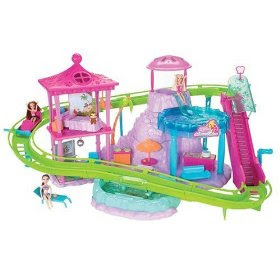 Polly Pockets are a great toy for little girls, and Polly Pockets just launched a fun Roller Coaster Resort for all the Polly Pockets to play and hang out. The roller coaster car climbs the escalator to the vista point with a waterfall slide and mountaintop pool. Girls will love bringing their Polly Pockets to the tropical paradise where Polly can swim in the pool, dine in the hotel dining room, and dance in the disco lounge. This set includes one doll and a pet. This review was provided from Mattel, Fisher Price, Hasbro, and Elmer's Products. These companies have provided me with the free products to review and information to share with my readers. I am sponsored to offer a Gift Card to giveaway to my readers through this review. I was given the product for my personal opinion and option to share with my readers. I was not compensated for my time or written review. Congratulations to the winners of these contests. I am sorry these weren't posted earlier...but it is busy around here. 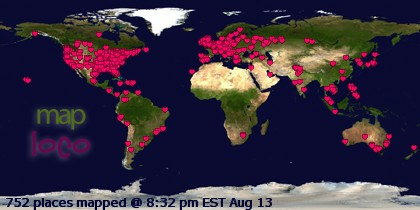 :) Thanks for all who entered the contests and did the extra work to have more chances to win. A BIG THANK YOU goes out to all the generous sponsors of these great prizes for my readers! Winners, please contact me asap with your contact information so we can get your prize to you. I will send you an e-mail, and you will have 3 days to claim, or I can pick a new winner if you don't respond. Thanks again & CONGRATS! Adorable Kinders Doll Review & Giveaway! PLUS....more great contests coming very soon~ check back! My Dad was an Insurance Agent when I was little, and we got a special, and thoughtful gift almost every year from one of his customers. We loved this gift, because it was a tasty treat, and it was great to fed us when we were hungry! The great gift was a gift basket with meat, cheeses, sometimes fruit, and fun strawberry candies. I am pretty sure that the baskets we received were from Hickory Farms. I think, as an adult now, this gift is a superb gift to give someone whom you don't really know what to get them, or if you think they have most everything they need. I recently reviewed a wonderful gift basket filled with delicious meats, cheeses (block and ball style), crackers, and candies from Hickory Farms. The display of the basket was gorgeous, and the basket was delivered securely. I think that Hickory Farms takes great pride in their products and services, from how they delivered their product and what it was all about. We brought our basket of goodies to our family Thanksgiving Day get-together, and everyone enjoyed the appetizers. The Hickory Farms basket had a few different flavors of the meat and cheese, and it was fun to taste the differences. I recommend Hickory Farms and think that their products/services are great and make fun gifts to share with others. I wrote this review while participating in a blog tour campaign by Mom Central on behalf of Hickory Farms and received a Hickory Farms gift basket to facilitate my review. I was given the product for my personal opinion and option to share with my readers. I was not compensated for my time or written review. Our family loves Build-A-Bear Workshop! I had never created a furry friend at the BABW before, and I was thrilled to be apart of that! We (Madelyn and I) got to see the new BABW movie: Holly & Hal Moose, and then go to the BABW and make Holly and Hal! What an experience! I love that Build-A-Bear gives children (and adults) so many options for what kind/type of animal/friend they want to create! Not only do you get to pick out your new friend, you can shop in the store for outfits, shoes, hats, coats, etc. for your new pal! I just got an adorable Black Bear Teddy to review. His name is Dimples, and he is sure a cutie! Caleb is enthralled with his new friend, Dimples. He is really excited that Dimples is all decked out in uniform...DARTH VADER! Caleb has been getting excited about the Star Wars characters (mostly because his older brother digs them) and he was happy to get Dimples in the Darth attire. Build-A-Bear offers purchase options of bears/furry friends by theme, too. The Darth Vader outfit comes complete with the suit (and there is a special opening in the back of the suit for Dimples ~ or other bears, tails), mask (completely covers his face), black shoes, and the light saber. Caleb really likes to pretend to use the light saber, too. Dimples looks fierce and ready to challenge anyone, doesn't he? Oh, but look at his face! He is absolutely adorable! All the Build-A-Bear animals are super cute! My baby loves the Dimples Bear from Build-A-Bear, too. He loves to kiss Dimples, especially when Dimples has his mask on! Frosty the Snowman, Holly and Hal Moose, Lil’ Robot Hal, Alvin, Simon and Theodore, Brittany, Winter Hugs Bear, Polar Bear, Lil’ Chocolate Cub Dressed as a Boy Elf and Brown Sugar Bear Dressed as a Girl Elf, and more. You can always personalize any bear as you want just pick and choose. Build-A-Bear Workshop offers great selections of bears/friends for girls and boys, along with fun and stylish accessories. We LOVE Build-A-Bear and highly recommend them to you! Hey, if you are a "last minute shopper," Build-A-Bear has a great online checkout ready to roll! Want the chance to win a DARTH VADER Dimples Build-A-Bear? This contest is open to bloggers and non-bloggers of the United States. Contest is open until December 23rd, 2009. This review was provided from Build-A-Bear Workshop, which provided me with the free product to review and information to share with my readers. I am sponsored to offer a BAB to giveaway to my readers through this review. I was given the product for my personal opinion and option to share with my readers. I was not compensated for my time or written review.